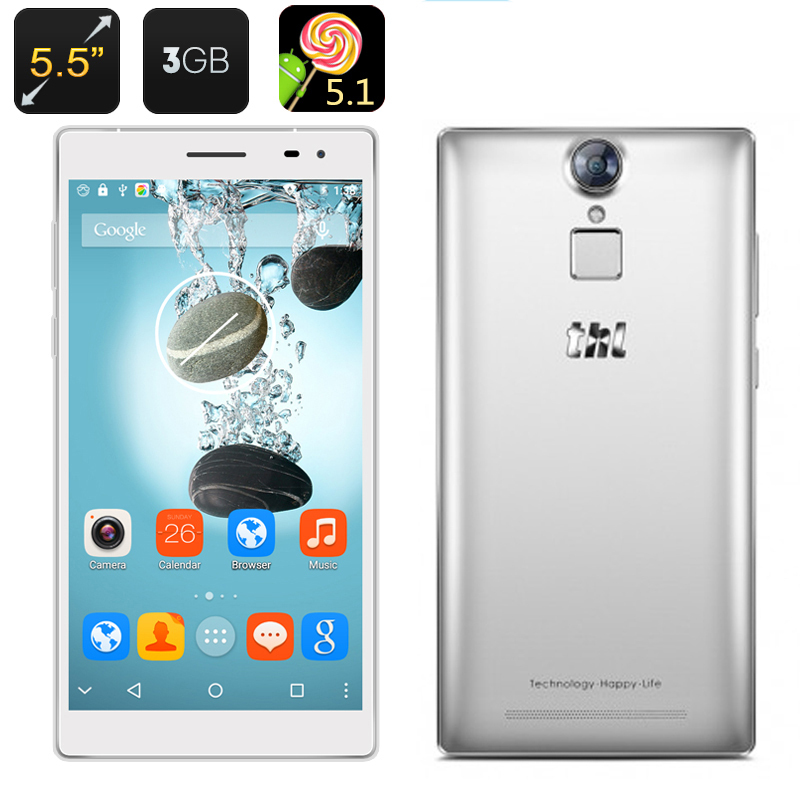 Successfully Added THL T7 Smartphone - 5.5 Inch IPS Screen, MTK6753 64bit Octa Core CPU, Android 5.1, 3GB RAM, 16GB ROM, 4G to your Shopping Cart. THL are back with a new flagship device. The THL T7 smartphone features a 5.5 inch IPS screen, a 64 Bit Quad Core processor, Android 5.1 operating system, 3GB of RAM and a fingerprint scanner. With a friendly price tag, a prime set of features and enhanced security, the THL T7 comes with lots to offer. The THL T7 smartphone offers you an advanced level of security and protects your privacy and personal data by featuring a fingerprint scanner. Should your phone ever get into the wrong hands, the perpetrators won’t be able to get their hands on your private data and your secrets will stay safe. The fingerprint scanner is located at the back of the device – letting you conveniently unlock it whenever needed. This phone comes with a sleek design and a 5.5 inch IPS screen. Two nice shortcuts also come included. You will also have Gesture Sensing for initiating certain actions with just a wave of the hand. The THL T7 lets you make full use of Android 5.1 operating system and get upgrades, new tools, apps and games from the Play Store. The MTK6753 64bit Octa Core CPU will be backing up all the phone’s features, letting you multitask all you want. What’s more, stay connected and enjoy fast browsing speeds with 4G connectivity. You will get 16GB of internal memory and you can add up to 32GB onto that externally. The 4800mAh battery will guarantee up to 8 hours of continuous talk time or around 72 hours on standby. The THL T7 smartphone comes with a 12 months warranty, brought to you by the leader in electronic devices as well as wholesale Android Phones..
EXELENTE .. Buen precio.. Envio super rapido.. Gracias lo rcomiendo ..
very good for the price ! It is very good product and it came on time! Thank you a lot.